Skydiving is Our Passion, Safety is our job. 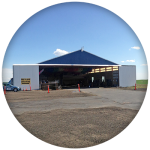 Family owned and operated, West Plains Skydiving will make your integration into the sport of skydiving a safe, welcoming experience. Whether you are coming out to do a skydive as a “bucket-list” check-off or if you’re interested in becoming a fully licensed jumper, we want you to feel like family. We have been host to weddings, proposals, new beginnings, family reunions, birthdays, bachelor/bachelorette parties, company retreats and so much more! We would love to be a part of your next big event and make great memories with you! 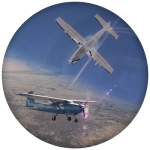 Not every dropzone has 2 airplanes! We have lovingly named our aircraft Super Grover (Cessna 182) and Big Bird (Cessna Caravan). Fun jumpers, we LOVE formation flying! All you have to do is ask! 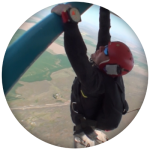 The fastest, safest way for you to get the Full Altitude experience of Skydiving. Click here to learn more! 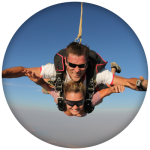 We offer a fully involved student program that takes you from jump #1 to being an A-Licensed Skydiver in 25 jumps! Gear, personal instruction, and a USPA rated coach or instructor on each jump! It’s all included! Click here to learn more! We have an amazing dropzone and we love to share it with everyone! Camping, kitchen area, bench seating for watching the take-off and landings. For more information about our facilities and what we can offer, give us a call or send us an email on our Contact Page! Skydiving near you! Where are you coming from?